The 51,800 dwt freighter Emu Arrow suffered hull damage during the tsunami while at the port of Kashima, Japan. 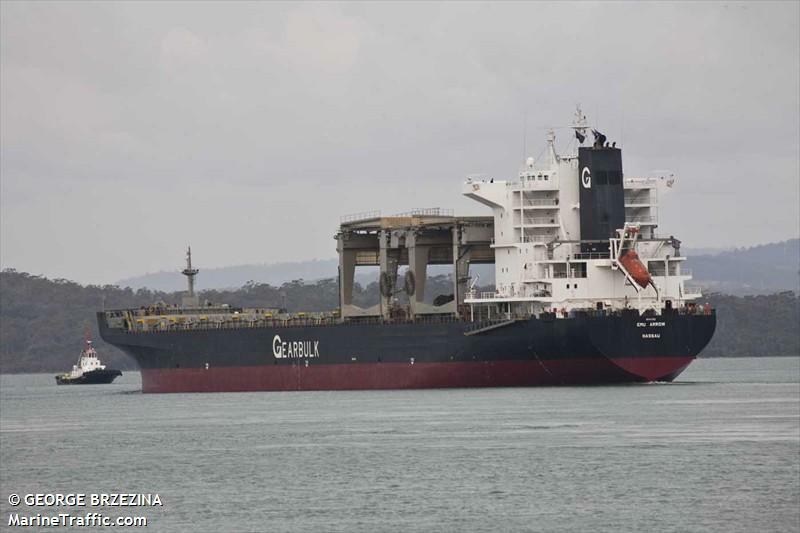 The Emu Arrow was unloading cargo when the tsunami struck sending the vessel colliding with other ships berthed nearby. Using its bow thruster and main engine, the Emu Arrow avoided being washed ashore by the strong currents with the tsunami. The crew 0f 26 were reported safe with no injuries. The Emu Arrow is at anchor and will be inspected to the extent of damage to the vessel. No reports of oil pollution being released.